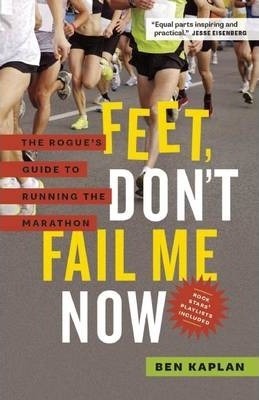 Based on his own experience transforming himself from a degenerate bar fly into a dedicated runner who qualified for the Boston Marathon, Ben Kaplan provides a week-by-week training program, split into four sections, each concluding with a race from 5km to a full 26.2-mile marathon. With wit, self-deprecation, and the input of experts from around the world, he provides critical information on nutrition and hydration, selecting shoes, race strategy, pacing, proper form, motivation, and how to stave off injuries while continually crossing new finish lines. He shares running music recommendations provided personally by a variety of pop and rock stars, including Paul Simon, Justin Bieber, The Black Keys, Ghostface Killah, Willie Nelson, Feist, and Norah Jones. Kaplan’s infectious enthusiasm about running — and music — inspires the most recalcitrant runners to lace up their shoes and hit the pavement.